The village, located on the upper slope of a relatively high hill, was built on the ruins of an ancient site that contained old structures, caves that had once been inhabited, cisterns, and large pools (see photo). During the Crusader penod the site was called Deleha. In 1596, Dallata was a village m the nahiya of Jira (liwa’ of Safad) with a population of 127 It paid taxes on a number of crops, including wheat, barley, and olives, as well as on other types of produce and property, such as goats, beehives, vineyards, and a press which was used for processing either olives or grapes. In the late nineteenth century, Dallata was a village built of stone and mud, with about 100 residents Visitors to the area reported that the village was located at the foot of a large hill, surrounded by olive groves and arable land. The village was surrounded by stone formations suitable for construction, and its houses were spaced at comfortable dis­tances from each other Springs provided water for domestic purposes. The entire population was Muslim The village had a small school that had thirty-seven students in 1945. The villagers worked primarily in rainfed agriculture, although some engaged in animal husbandry and others worked in wood cutting and trade. The dominant crops were fruits of various kmds and olives, which were planted in scattered patches around the village. Grain was grown in nearby wadis and in small plots on the lower slopes of the hills. In 1944/45 a total of 3,651 dunums was allocated to cereals and 302 dunums were used for orchards. Dallata was probably occupied some time after the fall of the district capital of Salad on 10—11 May. 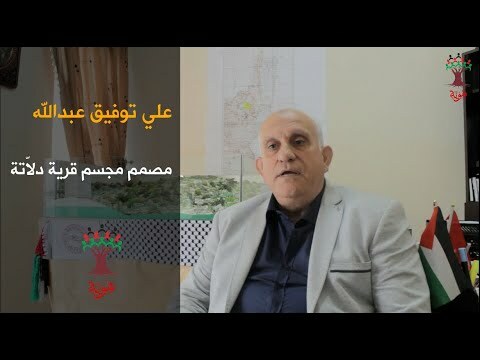 Indirect evidence suggests that the village was seized m the course of Operation Yiftach (see Abil al-Qamh, Safad District) If so, it was proba­bly one of the villages attacked in the latter stages of the operation, like neighboring ‘Ammuqa, occupied on 24 May. Israel established the settlement of Dalton in 1950 on village lands, slightly southwest of the village site. All that remains are the debris of the houses scattered across the site, partly covered by grass, shrubs, and trees. A few stone terraces on village land are still intact, and some olive trees still grow. About 1 km south of the site lies the Israeli settlement of Dalton. Part of the land around the village has been turned into forest, while other parts of it are used as pastures.